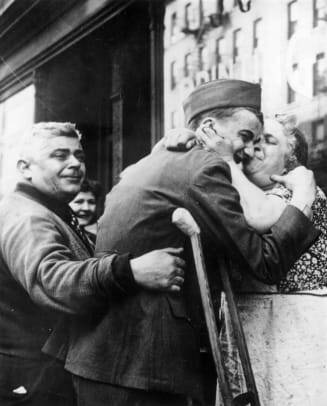 Immediately after Truman made the announcement of Japan’s surrender in World War II, at 7:03 p.m. on August 14, 1945, an American sailor walking through Times Square grabbed a nearby nurse and bent her over backwards in a passionate-seeming kiss amid the cheering crowds celebrating victory. 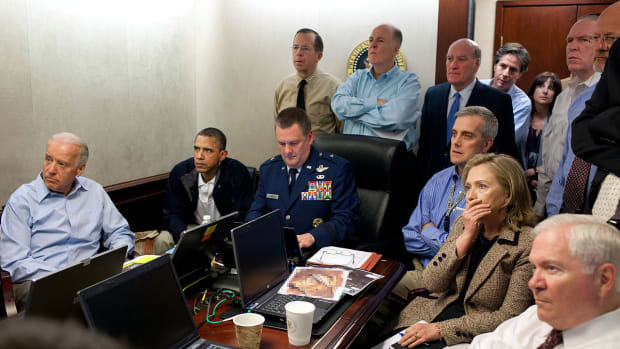 Or at least that’s how the story went. 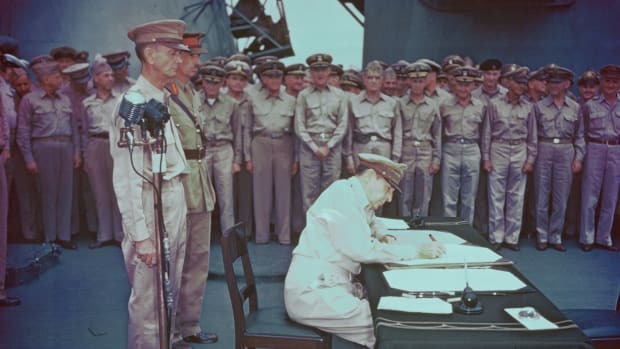 In fact, as reported by the New York Times in 2010, near the 65th anniversary of V-J Day, “The Kiss” might have taken place hours earlier, before Truman made his announcement. 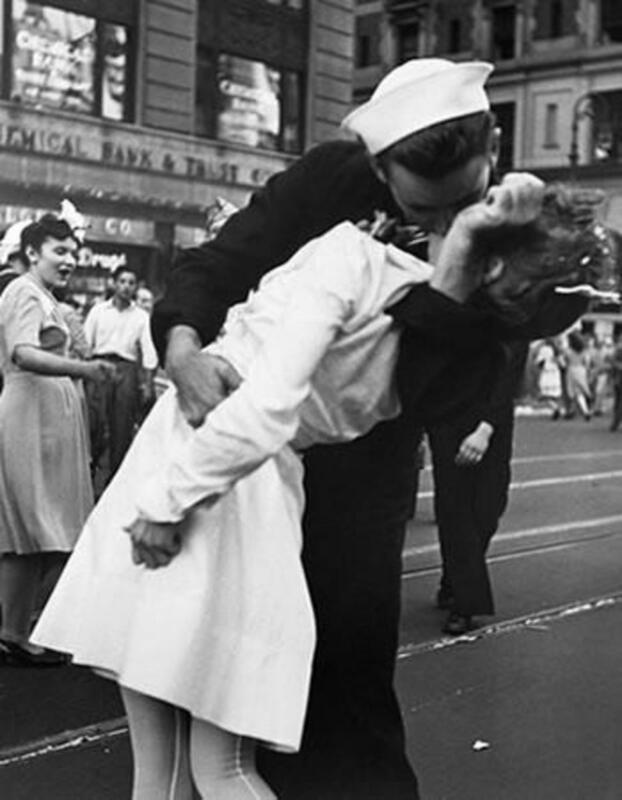 Nursing student Gloria Bullard was in Times Square that day and witnessed the kiss; she appears in the background of another, less iconic but still famous photo of the moment snapped by Navy photographer Victor Jorgensen. 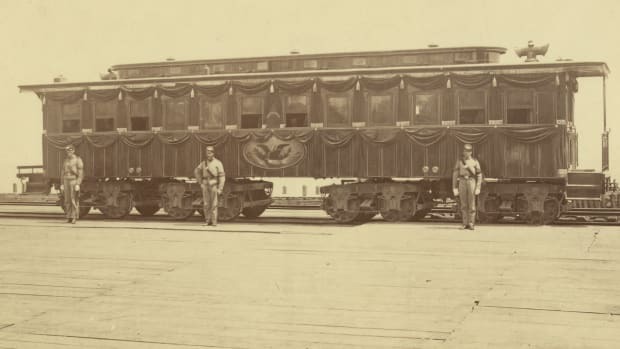 By then in her 80s, Bullard told the Times that she returned home by train to New Canaan, Connecticut, on the evening of August 14 by dusk—making it impossible for her to have witnessed the kiss as late as 7 p.m.
Commenters on the article when it was published online pointed out something interesting—a distinctive shadow that appears on one of the buildings near the upper right-hand corner, cast by another building. 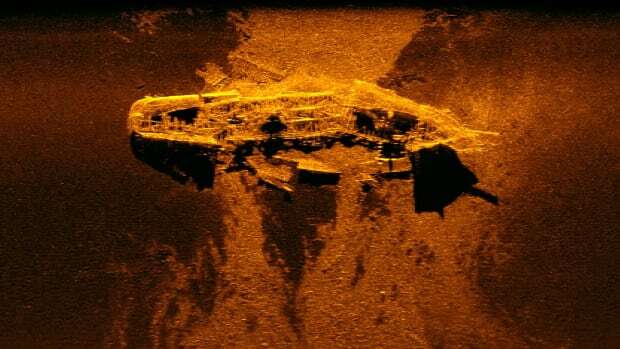 After reading the article, physics professor Donald Olson from Texas State University and his colleagues Steven Kawaler (an astrophysicist) and Russell Doescher (an astronomer) set out to determine the time of the photo based on the length and direction of that shadow. 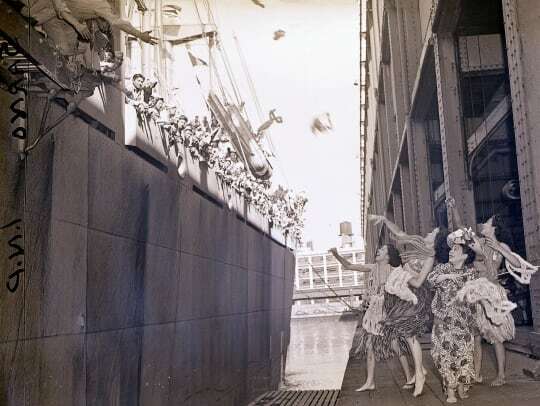 Over almost four years, they pored over vintage maps, aerial photos and blueprints and used the information to build a scale model of the buildings featured in Eisenstaedt’s photo. 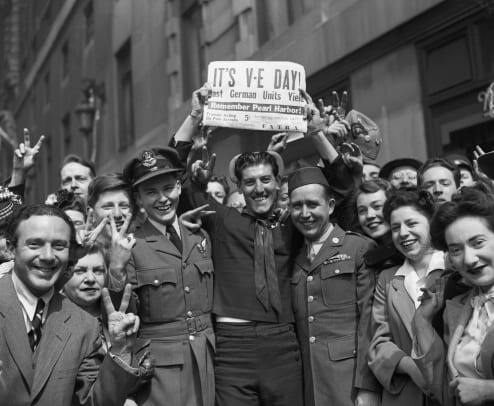 The scientists’ detective work doesn’t completely solve the lingering mystery of the kissers’ identity, although it did serve to eliminate people who claimed to have been on the scene in Times Square before or after 5:51 p.m. on V-J Day. 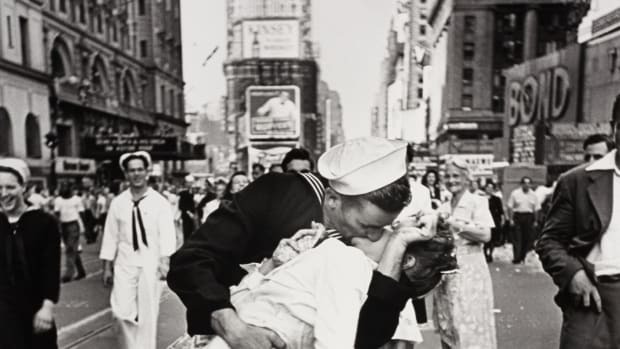 Over the years since Eisenstaedt’s photo was published by LIFE magazine, becoming one of the most iconic images of the century, dozens of people have come forward claiming to be the sailor or the nurse. 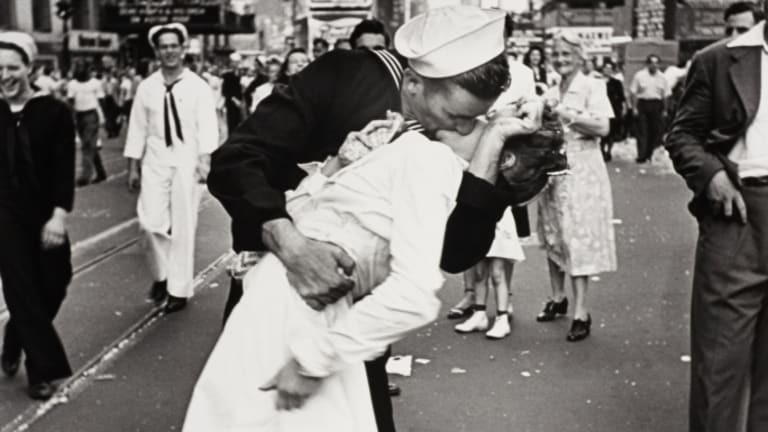 Lawrence Verria and George Galdorisi argued in their book The Kissing Sailor (2012) that forensic analysis had concluded that the two people in the photo were George Mendonsa, a Navy quartermaster on leave from the Pacific theater at the time, and Gretta Zimmer (now Friedman), a dental assistant from Queens who had emigrated from Austria in 1939. Mendonsa passed away on February 17, 2019, two days before his 96th birthday.